A 42-year-old big truck mechanic was riding his 2003 Kawasaki motorcycle on April 29, 2014, at 5:40 pm within the outer lane of the northbound lanes of Interstate 5. When he was near the Los Angeles River, the defendant, who was traveling in the number two lane, suddenly moved into the plaintiff’s lane without signaling. Her action caused another motorcycle to swerve in an attempt to avoid a collision with the Lexus. The defendant’s Lexus came to a stop at a 45-degree angle across the number one lane, causing the plaintiff to collide with her car. He was thrown from his bike, which came down on top of him. He had multiple injuries as a result. The plaintiff argued that the defendant was not paying attention and made a lane change carelessly. She didn’t signal and violated several provisions of the California Vehicle Code. The defendant argued that the plaintiff was lane-splitting, following too closely and not driving at a speed that was reasonable. She argued that he was responsible for his own injuries as a result. Plaintiff made a §998 demand of $1.499 million. The plaintiff’s final demand before trial was $1.2 million. The defendant made a §998 offer at the time of the trial of $941 thousand. After a trial that lasted for seven days, the jury deliberated for two before returning with a gross verdict in favor of the plaintiff in the amount of $3,778,095.94. The jury found that the defendant was 87 percent liable and that the plaintiff was 13 percent liable for the accident. This meant that the plaintiff’s net verdict was $3,135,819.63. The jury awarded economic damages to the plaintiff of past earnings in the amount of $99,386, future earnings in the amount of $1,107,274, past medical expenses in the amount of $396,243,73 and future medical expenses of $269,000. The noneconomic damages awarded by the jury included past damages of $400,000 and future damages of $1.5 million. The plaintiff’s case demonstrates comparative negligence law in California. When a person is injured in a motorcycle or motor vehicle accident and is partly at fault, his or her award will be reduced by the percentage of fault attributed to him or her. This is why the man received a net verdict amount instead of the gross verdict that the jury found in the case. A person is able to sue in California and recover even if he or she holds a majority of the fault, but his or her award will be reduced by the amount of fault that he or she holds. In a case like the plaintiff’s, juries may begin using a different calculus after January 1, 2017, when the new lane-splitting rules are implemented. California recently became the first state to specifically legalize lane splitting, which is the practice of motorcycles riding either next to one another or next to other vehicles. The law that was passed by the legislature and signed into law by the governor allows the California Highway Patrol to issue rules about safe lane-splitting practices. The rules are scheduled to be written, and they will be effective on Jan. 1, 2017. If a motorcyclist is injured in an accident after the rules are written and made effective, he or she may not be considered to hold partial liability for an accident because of lane-splitting. The calculus would depend on if the motorcyclist was following the safety guidelines for the practice at the time of the accident. This might include his or her speed and whatever other rules the CHP drafts. In the man’s case, it is unclear how much of his partial fault was calculated by the jury to be due to lane-splitting, following too closely or speeding. However, if the jury allocated any percentage of his fault to him because of lane splitting, he would likely have recovered whatever that percentage amount was as well as the remainder of his net verdict. People who are struck by distracted or negligent drivers while they are riding on motorcycles often suffer severe and catastrophic injuries. Because motorcyclists have little to protect them, they may be left facing life-altering disabilities following such accidents. 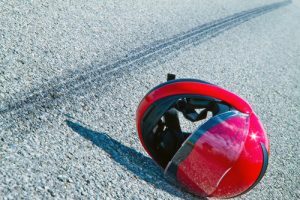 Those who have been struck and injured by negligent drivers might benefit by consulting with a motorcycle accident attorney about their rights to recovery.